Upcoming Events - Agroponic Industries Ltd.
Bring in your own containers/planters and create your own beautiful plantscapes that will suite your tastes and applications. 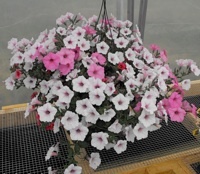 We have over 1,000 varieties of container plants to select from, our staff is there for their knowledge and opinions. Your containers will never look better. We can provide fresh pottting soil, slow release fertilizer, tips and advise and if necessary look after your container till you wish to safety take them home. 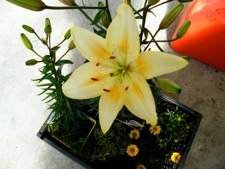 To continue the tradition started, come on in and treat your mom to a free fresh cut stem lilies. 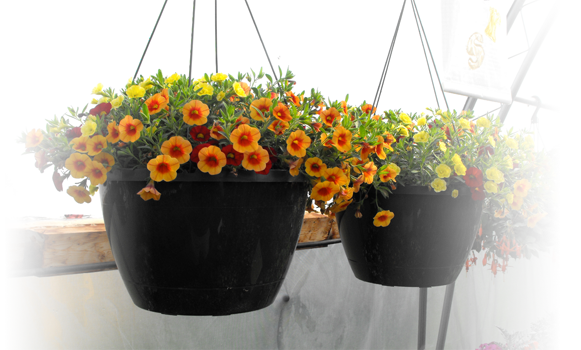 Take some time to browse the aisles, a full range of annuals in packs, perennials/annuals in stuffers, hanging baskets and patio pots, for mom’s selection. If you do not have the time but still wish to have a custom professional plantscape look let us do the work for you. 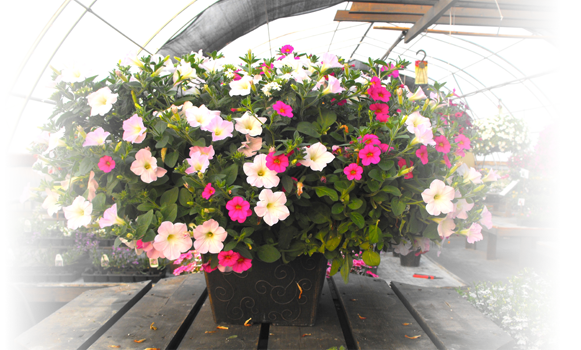 We shall carefully chose the plants to make your plantscape containers look stunning all summer long. No reservation required. Just drop in with your containers. Your container will maintain its fresh appearance for several months with proper watering and feeding. Water when the container feels “light” and soil is dry to the touch; feed with a water soluble fertilizer at every watering. Flowering plants are heavy feeders. 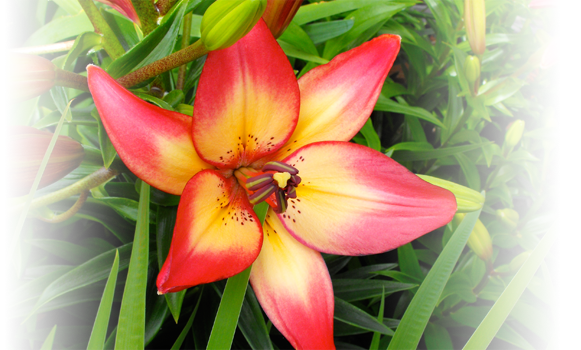 As the weather warms, some plants may loose their vibrancy. Not to worry. 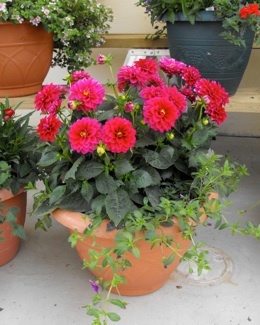 Return your container between July 15 and July 30 and we’ll help you refresh or replant with fresh colour for your summer enjoyment and entertaining. We’ll provide new potting soil, a sprinkling of time release fertilizer, a healthy selection of plant material or pinching.